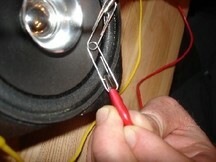 The Music of Electricity is part of Huddersfield Contemporary Music Festival's Learning and Participation Programme 2009. A-level students from Greenhead College and Year 6 pupils from Spring Grove Primary School have been devising a series of new pieces inspired by the work of digital artist Tim Head. what is the sound of electricity? ; what is the smallest unit of audio information? ; and image or sound - can we use fragments of image to generate sound material? The results will be presented at a public performance during HCMF on Thursday 26 November and can also be explored as the project progresses through this on-line installation. This exhibition brings together recent work by Tim Head exploring the nature of the digital medium, its elusive material substance and its unsettled relationship with both ourselves and with the physical world. The exhibition includes recent digital work, alongside a selection of drawings and an outdoor projection on the Library and Art Gallery building.